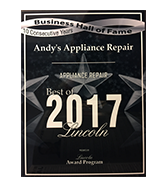 Andy’s Appliance Repair is involved in multiple community service opportunities and charitable events. The reason we are committed to our Nebraska community is because we love this region and the people that are in it. We do right by our customers, because we know they are our neighbors, and we treat our neighbors how we like to be treated. In today’s post, we are going to look at some of the specific events and initiatives Andy’s Appliance Repair has been involved in. Before the holiday season kicks off, we like to run a Food Drive for the Lincoln Food Bank in October. 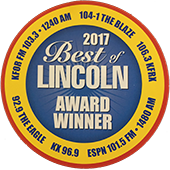 We’ve been doing this for a many years in Lincoln, and we can’t say enough about how great it is to be a part of tangible good work in our community. Our newer location in Omaha also has gotten involved in some city outreach programs. Namely, we collect food for the Omaha Open Door Mission. The good people over at the Omaha Open Door Mission are committed to changing the lives of homeless men, women, and children by breaking the cycle of homelessness. In fact, their campus offers 816 safe shelter beds, serves over 2,000 hot and nutritious meals, and provides helpful and preventative measures to almost 300 people living in poverty in Omaha. It was great to be a part of an initiative creating positive change in people’s lives. We’ve been involved in a number of events in the past as well. The Matt Talbot Kitchen has their annual Husker’s Helping the Homeless program, and were a sponsor for that event back in 2010 and 2011. They are having their 20th Annual event this year, so congratulations to them! We also teamed up with Matt Davidson and his Creating Captains foundation. Matt’s organization is committed to build a foundation of character, courage, leadership, and respect for young athletes learning life lessons through sports. 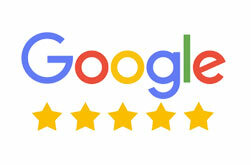 We did a “Like” Drive with them, meaning if we at Andy’s Appliance Repair received 1,700 likes on Facebook, we would donate $1,700 to the foundation. Although we didn’t quite reach our goal, Creating Captains is such a quality foundation that we made the donation anyway! Every June, Andy’s Appliance Repair matches the donation of the audience during Friday Nights Live at SouthPointe Pavilions for the CAC, Child Advocacy Center of Lincoln. We were happy to donate $1000 again in 2017, with the crowd matching that donation (and then some), which made it a wonderfully successful evening for an organization which served over 1,000 child victims of abuse and neglect. 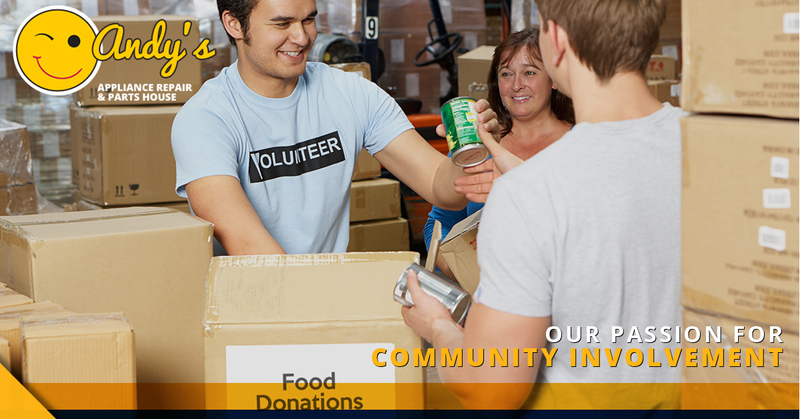 Each year, Andy’s Appliance Repair collaborated with the Lincoln Food Bank to do a month-long food drive. For all of October, our repair technicians collected 2-3 cans of food (at least, usually) in exchange for a $10 discount off of the service delivered. We ended up collecting five full drums of canned food for the Lincoln community. We thank all of our generous customers who contributed and supported our effort. You are the ones who made it possible. We don’t mind highlighting our support of such wonderful organizations for two reasons. Firstly, it gives us a great reason to talk about some of the amazing things happening in our community in Lincoln and Omaha. Secondly, we want you to know that when you give us your business, we give a portion of that back to our neighborhood. 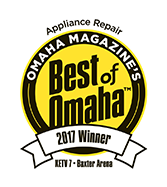 So remember, if you are needing fridge repair, oven repair, washer repair, or maybe just an appliance service center in general, don’t forget about your friends at Andy’s Appliance Repair.